It was just my birthday on June 11th, and I received a couple of gifts for my car. I'm not sure how I feel about the dash completion kit. 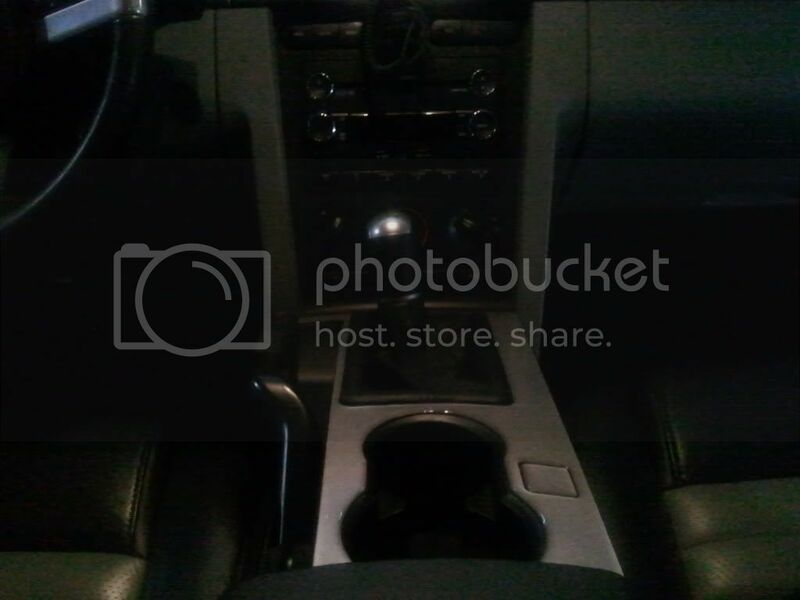 I only installed the center console piece. I thought it was going to be brushed aluminum for the price ($109), but it's like a rubber material. Very nice! If I may, it seems that the lower trims panels aren't completely snapped in. I know... they are all the way in but there is some play. I'm going to find a way to fasten them better. But I also want to get the agent 47 brake ducts... so we'll see what comes first. Not so sure on the console/dash completion thing. Kinda looks obviously....stuck on there? I guess it's cool that it would prevent wear on the top of your console, but it wouldn't be my preference. 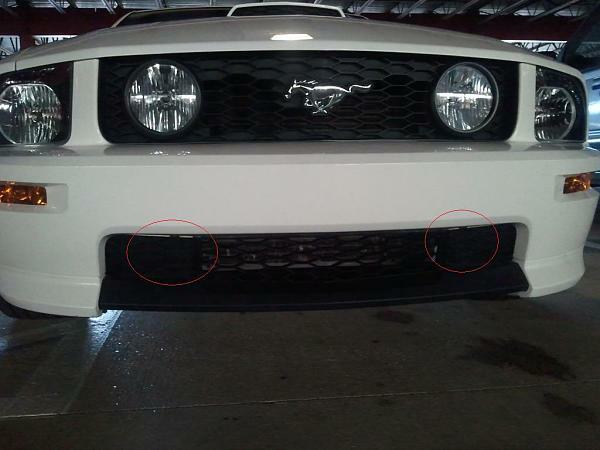 on the SHR grille insert, makes the front look "finished" rather than like Ford forgot a part. 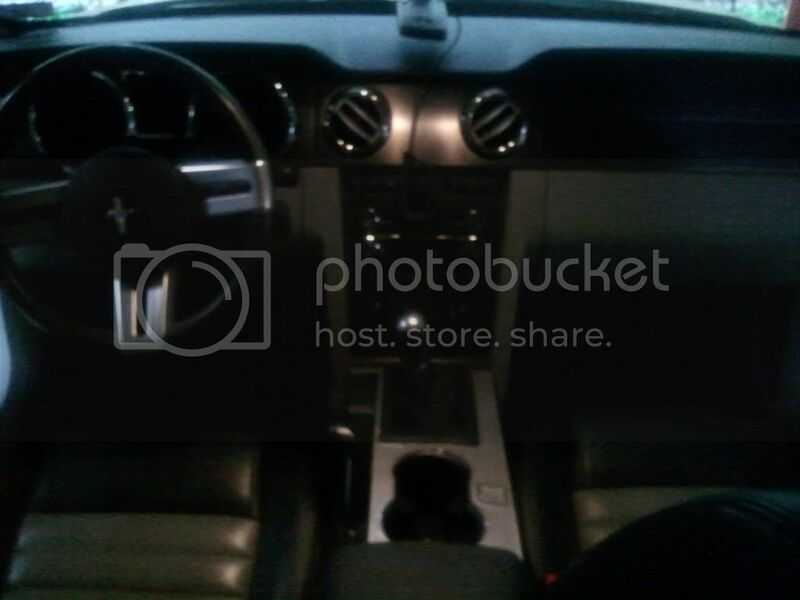 You know, I never thought that it look bad or that Ford forgot a part. The GT/CS bumper, aka SGT bumper, just reminded me of the open mouth on the 65-66 GT350s. For added security off the track though, I understand you're point. I've also noticed fewer dinged fins with it there to catch some of the road debris. +1. And when I installed mine, there was not play in it at all. Make sure you snap those side pieces in firmly and that there's no broken tabs on them. Looks good! After reading this, I went back outside and tried to get rid of that gap, and it won't budge. I dunno what's causing it. I didn't really have time to get under the bumper to see what I could do, but maybe I'll be able to get to that today. So I installed some hid's last weekend and I ordered some hoen xenon match halogens which came in today. Buuut... I ordered h11's and not h10's! So now I have to send them back and wait for the h10's to show up. Crap. On a different note, I love having hid's. Such a big difference in light, plus it makes me feel like I'm driving a higher end car. I definitely recommend them. 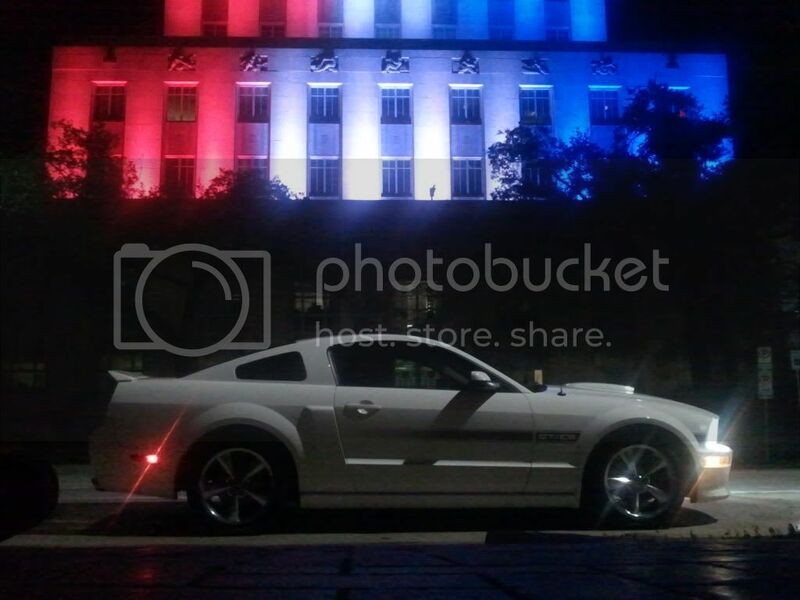 Here's a cool pic I took with my cell phone in downtown Houston.